Yaletown Flower Co. Saphire Scout, medium sized dense light green buds caked in crystal with a pungent fruity / sweet nose and a good burn. 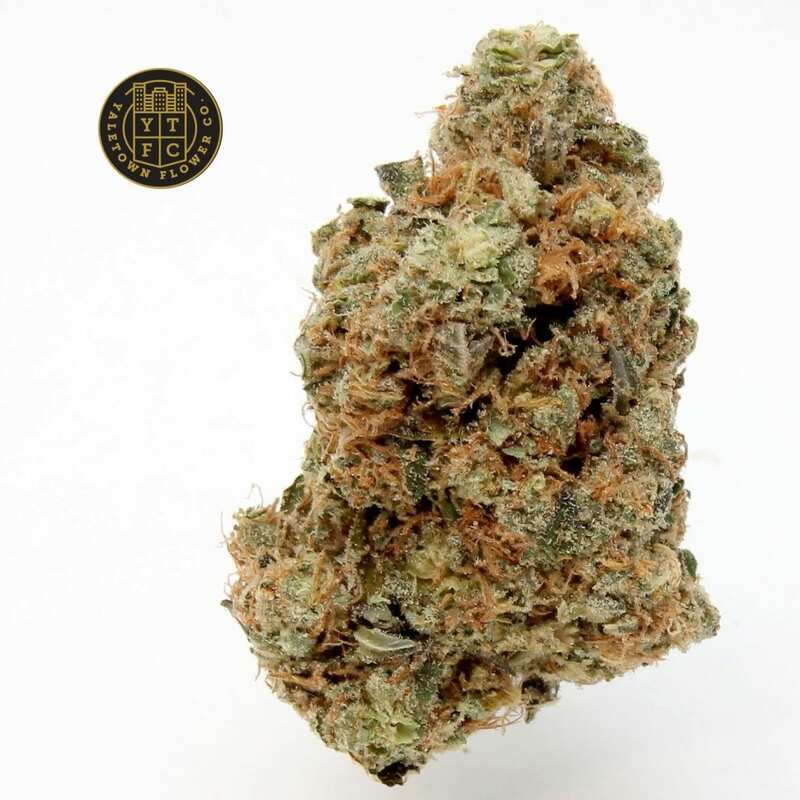 Sapphire Scout is a legendary hybrid cross of Girl Scout Cookies and True OG, known for its high THC count, the warming and peaceful effects are best suited for treating stress, insomnia, depression, lack of appetite and pain. Another amazing strain from Yaletown! Well worth the price. Smells cheesey and dank, great buzz without the burn out afterwards. Quality bud. This was a nice bud, ash was a bit grey, taste was nice, uplifting high. love the light ,pretty buds full of hair n crystals. Very strong smell and taste. I will buy again and recommend this. Amazing!! I actually didn’t originally order it they were sold out of what I did and this was its substitute. Great looking buds, busts up beautifully, smokes great, tastes even better, and gives the perfect high without horrible burn out. 5 stars and reccomend for sure!! Nice dense mid size nugs. Sweet/sour/pungent nose. Decent flavor and burns really good w/ a white ash.